The Jolly Bee… “Langhap Sarap”! 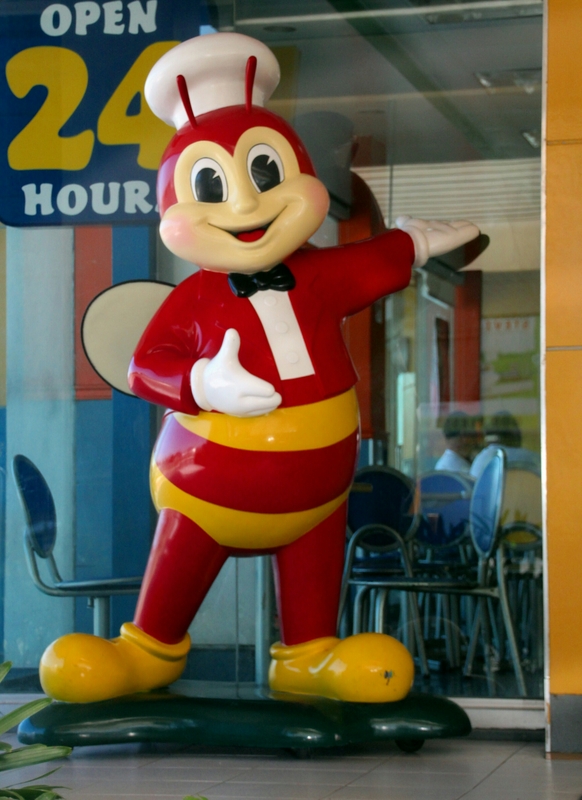 Jolibee, which I’d rather call, the “Jolly Bee”, is the most famous burger chain and one of the acclaimed franchise success in the Philippines. I remembered having my first Jolibee burger way back in ’86 when I was in college… A period of no selfies to share on Facebook! Its key slogan “Langhap Sarap” means deliciously inhaled. Its nearest competitor is McDonalds, a US burger company with hundreds of outlets in the Philippines as well. Aside from the various variety of burger sandwiches, french fries, and its kiddie-sweet spaghetti, Jolibee also offers unique cuisine items totally in Filipino (“Pinky”) style. Jolibee is located in almost every mall in the country, in every major corner of a residential neighborhood, and in almost all gasoline stations with dine-in areas. But with every Jolibee outlet opened, it is always expected to see a McDonald outlet nearby. Jolibee has expanded offshore like in the US of A and in other countries in the Pacific Rim.